How do You Get Your Car Off The Ground? 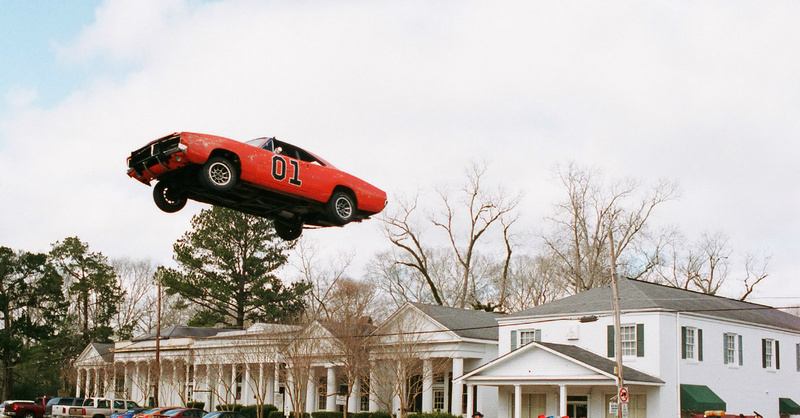 Does this mean we’re going to pull a Dukes of Hazzard type of stunt? Are we looking to be the next great driver who can jump over rivers, buildings and other cars to the delight of the crowd or is this article about the stupidity that some people have when they go airborne because they don’t control their vehicle on the road or track properly? The reality is, you aren’t going to learn anything about putting a car in the air while it’s driving at all, but instead learn the basics of putting your vehicle on jack stands so you can work on the underside and access the items needed. You might think it’s easy enough to life a vehicle off the ground and the jacks you have will get the job done, but you need to approach this action carefully and with the necessary thoughtfulness of safety. You need to be safe to avoid injuries and be safe to avoid damage to your vehicle. Remember, your vehicle weighs in at over 2,000 pounds and it’s built to be on its wheels at all times. This means you need to make sure it’s properly supported to get it in the air and be supported the right way. One of the most important aspects of lifting a vehicle is having it on level ground. You run the risk of a vehicle rolling backward or forward depending upon the way the driveway you have slopes. Once on the level ground you need to put it in gear and have the handbrake pulled. These actions will help avoid any rollback that could happen in your vehicle when you’re jacking it up off the ground. If you’re going to jack up all four wheels you will need jack stands to set the vehicle on, which will take some added steps and preparation to get the job done. Are you going to lift the entire car so you can get underneath and work on it? Isn’t it like changing a tire where you simply lift one side on your jack and get to work? How high off the ground can you lift the car? Are there specific points on the vehicle where it can be lifted from? What’s actually involved in lifting a car off the ground to be put on jack stands? Most of us actually don’t know what to do when we have a flat tire, let alone lifting a car up on the air to work on it completely. It’s important to know what to do and how to do it, which is covered in the video linked below. The beauty of this video is you can add it to your collection for automotive maintenance and use it as a reference whenever you need to have a video that you’ll be able to enjoy and refresh the steps to getting your car off the ground for the maintenance you want to perform. Take care of your vehicle and get it up in the air with care after watching this video.